Fill out our simple form and get quotes from local wedding planners. Wedding Planners manage your big day from start to finish and take a huge weight off your shoulders. Planning a wedding is a stressful business, no matter how organised you are. 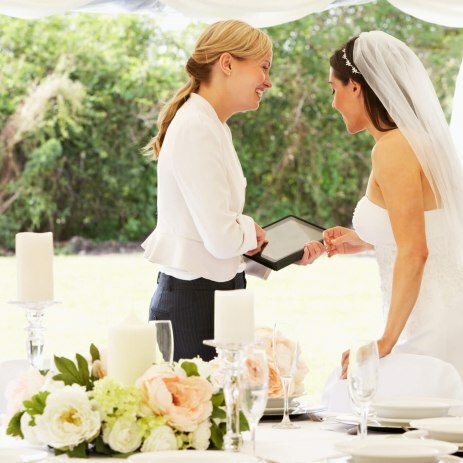 There’s the catering, invitations, decor, band or DJ and much, much more - so why not hire a wedding planner to help you meet deadlines, make the right decisions and ensure your special day goes off without a hitch? No matter what sort of wedding you’re planning, hiring a wedding planner can help you achieve your vision and save you time and stress as well. To find out more and hear from wedding planners in your area, simply complete a request form now. It might not be first thing you think about when you’re writing your wedding to-do list, but hiring a wedding planner can make a big difference to your own wedding experience. Often more affordable than you might think, a wedding planner can handle everything from long term planning to on the day logistics, and all the little jobs in between you’ve probably not yet considered. Once you’ve worked with them to create a vision for your big day, wedding planners will then pull in all the suppliers you need, and often at a better price than you would have been able to get thanks to their industry contacts. To hear from wedding planners in your area, simply complete a request form.